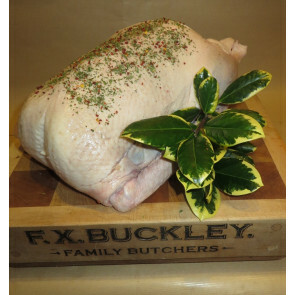 At FX Buckley we source our turkeys from the McCaughey Family farm in Castleblayney Co. Monaghan who specialise in Farm Fresh Irish Turkeys. 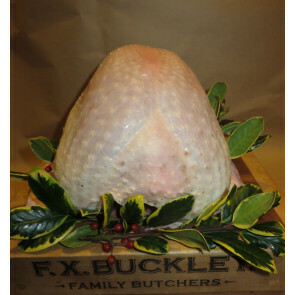 Our turkeys have an incredible natural flavour as they have been reared to the highest standard. 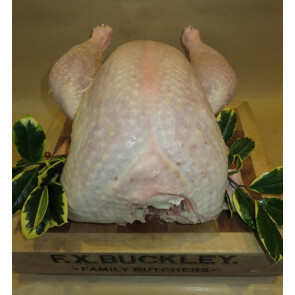 McCaughey have been rearing the highest quality turkeys since 1951. Have any queries? 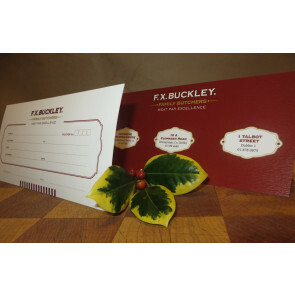 Get in touch with us..
We source our Free Range Turkey from McCaughey Farms in Castleblayney, Co. Monaghan who have been supplying quality turkey since 1951. 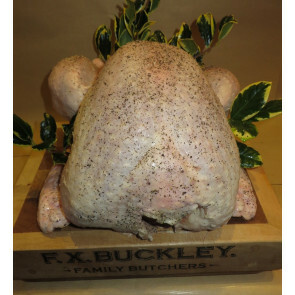 Full oven ready Turkey are very popular for the Christmas dinner served with a delicious festive gravy. The Bronze is a breed of domestic turkey. The name refers to its plumage, which bears an iridescent bronze-like sheen. 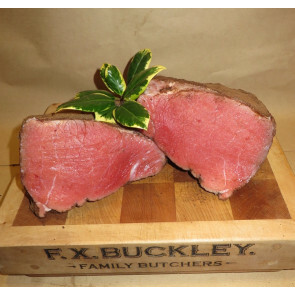 This is our own famous award winning spice beef that is full of distinctive flavour and tenderness. Home cured by ourselves and then rubbed down with our own spices. Try it for Christmas with the turkey, delicious! 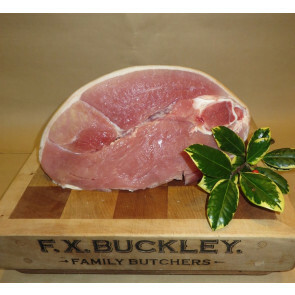 The fillet of ham is off the leg of pork and has been freshly cured with pickle. 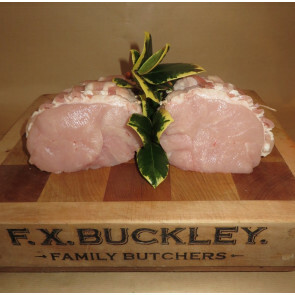 At FX Buckley we cure our own premium ham with our own traditional recipe. 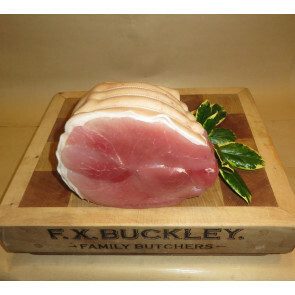 The fillet of ham on the bone is a real traditional way to enjoy ham at Christmas. 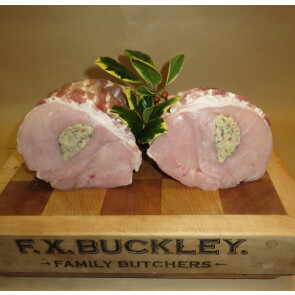 This is a premium turkey breast where the bones removed and then the breast is neatly rolled and tied. 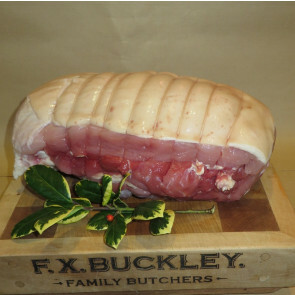 The Premium turkey joint is very popular at Christmas juicy lean white meat and its easy carving. This is a premium turkey breast where the bones removed. 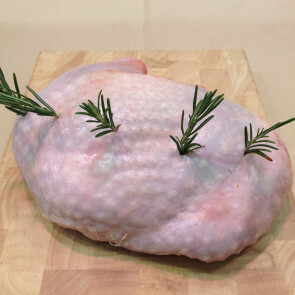 The breast is filled with our homemade stuffing and is neatly rolled and tied for your convenience. The Turkey crown is a premium turkey breast on the bone with the Turkey legs removed. Goose is becoming more and more popular for celebrations. A traditional alternative to a Christmas turkey, goose is packed with flavour, with rich, densely-textured meat. 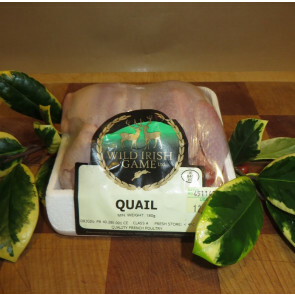 We source all our quails from Wild Irish Game in Co. Wicklow. It's a small bird, so one will serve one person as a starter, and you'll need two as a main course. 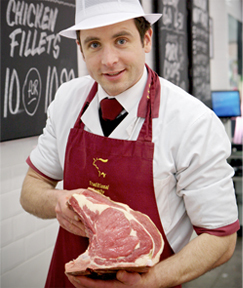 It has a fairly high proportion of lean, meaty flesh to bone, and a delicate flavour. 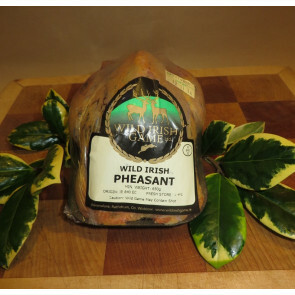 Before any pheasants arrive at FX Buckley shop Wild Irish Game ensure their pheasants are hung - a very important process to ensuring the best taste. 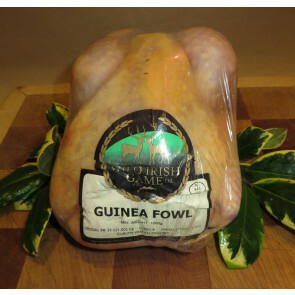 Guinea fowl is a very popular game meat, having a distinctive flavour somewhere between chicken and pheasant. We source our Free Range Turkey from McCaughey Farms in Castleblayney, Co. Monaghan which have been supplying quality Turkey since 1951. 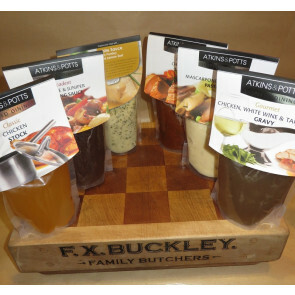 At FX Buckley we stock a selection of At Atkins and Potts sauces and gravy's. 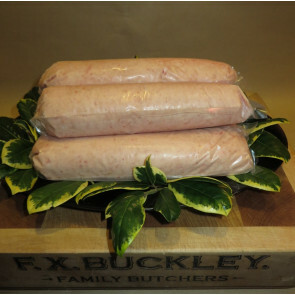 FX Buckley are renowned for their award-winning gold medal sausages which we have been making since 1930 and are extremely popular with customers. 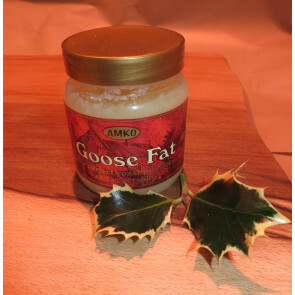 Goose fat is the consistency of butter and has been attributed to cooking the best tasting Roast potatoes.